Medvivo strives to achieve the highest quality in all aspects of our operations and we work hard to ensure we provide services and solutions that deliver safety, professionalism and the highest user satfisfaction. We actively measure our performance and seek feedback from our service users and customers. We are accredited to the TSA Integrated Code for Telecare and Telehealth. All calls in and out of Medvivo's offices and premises are recorded for quality and training purposes. The Care Quality Commission is the independent regulator of health and adult social care in England. In April 2012, all organisations providing Out Of Hours (OOH) Primary Care became legally responsible for making sure they meet essential standards of quality and safety and must be registered with the CQC. We are registered with the Care Quality Commission for a number of regulated activities. 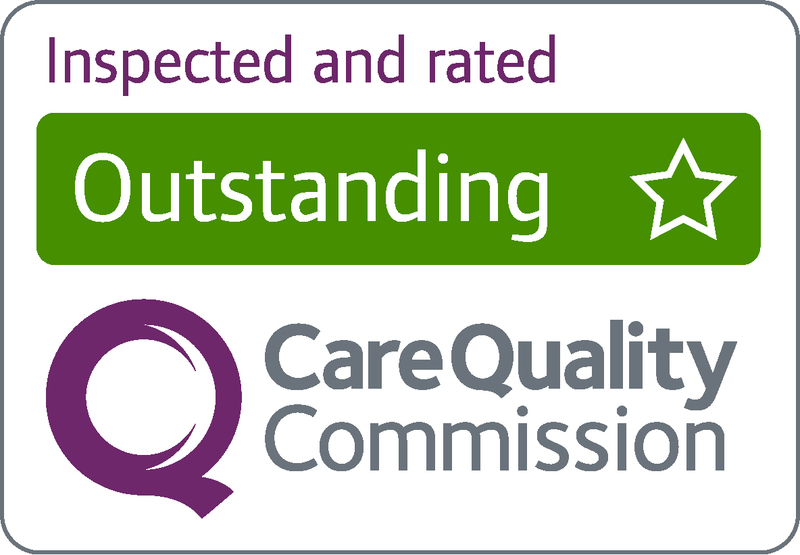 Following a comprehensive review inspection in February 2017 and January 2019 at Fox Talbot House, our overall service was rated as outstanding on both occasions. The inspection aims to get to the heart of patients' experiences of care and treatment by assessing how safe, effective, caring, responsive to people's needs and well-led the service is. "The service worked closely with other organisations and with the local community in planning how services were provided to ensure that they met patients' needs. There were innovative approaches to providing integrated patient-centred care. The provider recognised the need to increase the resilience of the GP Out of Hours cover. Patients said they were treated with compassion, dignity and respect and they were involved in their care and decisions about their treatment. The service had good facilities and was well equipped to treat patients and meet their needs. Patients' care needs were assessed and delivered in a timely way according to need, consistently exceeding the National Quality Requirements. The leadership and culture of the provider was used to drive improvements and deliver high quality person-centred care. There was a high level of constructive engagement with staff and a high level of staff satisfaction." We are committed to measuring and improving the quality of the services we provide. In order to secure continuous improvement and demonstrate accountability, we have embedded the fundamental objectives of performance measurement within organisational culture. This ensures that the process does not become an end in itself. Read our Quality Report for information about our achievements in relation to effectiveness, safety and experience which demonstrate our commitment to providing consistent, evidence-based, high quality care to those who use our services. We believe in being transparent and accountable about the care and treatment we provide. We are proud to promote our achievements, but also want to be open about what we could do better. Our local commissioners set targets to measure our performance. We also set our own priorities and objectives so that we can develop our service and improve the care given to patients. We consistently meet and exceed all of our key performance indicators. You can also find out what we have been doing in response to feedback we receive from patients, service users and the general community on our "You Said, We Did" page. If you have feedback you'd like to share with us, please complete our online form, call 0800 6444 200 or email communicate@medvivo.com.